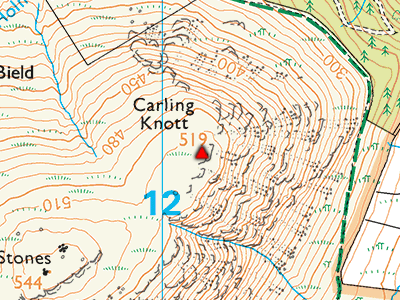 A smaller subsidiary of Carling Knott which is located just to the south west. 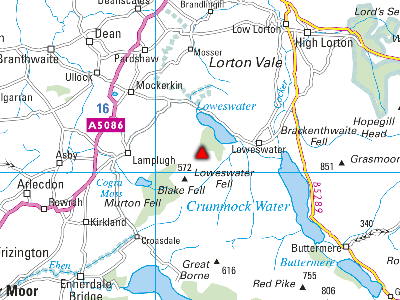 This peak is of moderate height and offers better views down towards Loweswater from the edge of the plateau. Loweswater End of Carling Knott is the fell on the left with the main summit in the centre. The summit cairn on Carling Knott - Loweswater End.